Nic Salt by WET is a new line of e-liquid featuring nicotine salts: a new way of vaping nicotine, ideal for those looking for an experience closer to smoking. Sapphire Nic Salt is a mixture of graham cracker, caramel, and RY4 tobacco - earthy, with a touch of sweetness. 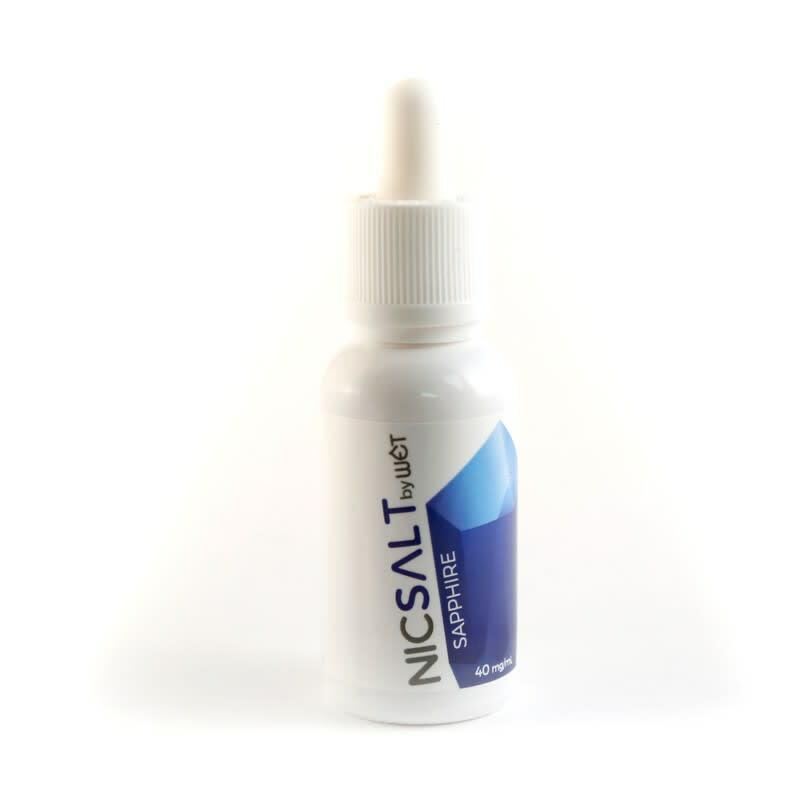 Nic Salt flavours come in 30ml bottles, and are available in 10mg (or 1.0%), 20mg (or 2.0%) and 40mg (or 4.0%) of nicotine concentration, those high concentration of nicotine are intended for use with low wattage (7-12W), mouth-to-lung devices. Nicotine Salt (or Nic Salt) is the naturally occurring state of nicotine found in tobacco. E-liquid with extracted nicotine salt is known to more closely emulate the nicotine absorption rate of traditional smoking, while providing a smoother inhale. Because of this, Nicotine Salt e-liquid is available in higher nicotine strengths than other e-liquids. 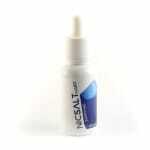 Nicotine Salt e-liquid is a great option for new vapers, or those using low wattage mouth-to-lung e-cigarette devices. Because of the higher concentration of Nicotine Salt e-liquids, they are not recommended for high wattage or sub-ohm vape devices. I can see how people would enjoy this, but personally it's too sweet and I got tired of it really quick. Mixed the sapphire 10mg nic salt 50/50 with Crystal clear in my smok v8 baby beast ,nice smooth mild graham cracker vape with huge clouds.Great all day vape. A lot tastier than a lot of the other tobacco juices I get - a lot smoother too. So Make sure you're not turning any leaky devices on their side. Aside from that it's excellent and has a good lil throat hit. I would imagine anyone who enjoys tobacco or dessert flavors is going to really like Sapphire when used with a mtl device. This delicious blend of ry4, caramel with tasty Graham cracker has me charging my Aspire Breeze more then usual. If you're a fan of 180 Smoke's Blue Star, I highly recommend giving this one a try as well. I was going to get another bottle of the Salt Nix (Northern Tobacco), but I'm really glad I got this instead. The Northern Tobacco is great if you're making the switch from cigarettes to vaping, but I actually enjoy this flavour a lot more. Vaping this in the eleaf iCare, the caramel isn't too sweet and I'm loving the graham cracker on the exhale. Also the fact that it's $5 less for a bottle twice the size is a definite bonus.